Cool News For Women: What's Good About Coffee? For years researchers have been trying to villainize coffee, but the most recent study of 125,000 health professionals suggests that coffee will not shorten your life, but in fact may prolong it a bit. After taking smoking, diet and other factors into account, the researchers determined that people who drank coffee( regular or decaf) were less likely to die within the next two decades mainly because of fewer deaths from heart disease. Coffee has been blamed for everything from hypertension to pancreatic cancer, but in nearly every instance research proves that coffee is not guilty. At least six studies indicate that people who drink coffee on a regular basis are up to 80% less likely to develop Parkinson's disease. Other research shows that compared to not drinking coffee, at least two cups daily can translate to a 25% reduced risk of colon cancer, an 80% drop in liver cirrhosis risk, and nearly half the risk of gallstones. 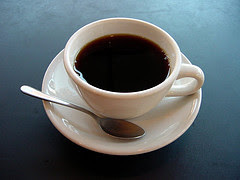 There's also some evidence that coffee may help manage asthma, stop a headache, boost mood, and even prevent cavities. With all these positive results, is it the caffeine or is the loads of antioxidants found in coffee? The questions bears further study. On the flip side, it's clear that coffee isn't for everyone. It can increase nervousness, hand trembling, and cause rapid heartbeat. Coffee and other hot drinks can also increase hot flashes and night sweats in menopausal women. But most recent large studies show no significant adverse effects on most healthy people, so enjoy your java everyday without an ounce of guilt!